Ghost London, a brand I thought would only be the go to site for that extra special occasion dress, a glamorous event piece or even along the lines of bridesmaids. Turns out I was wrong. 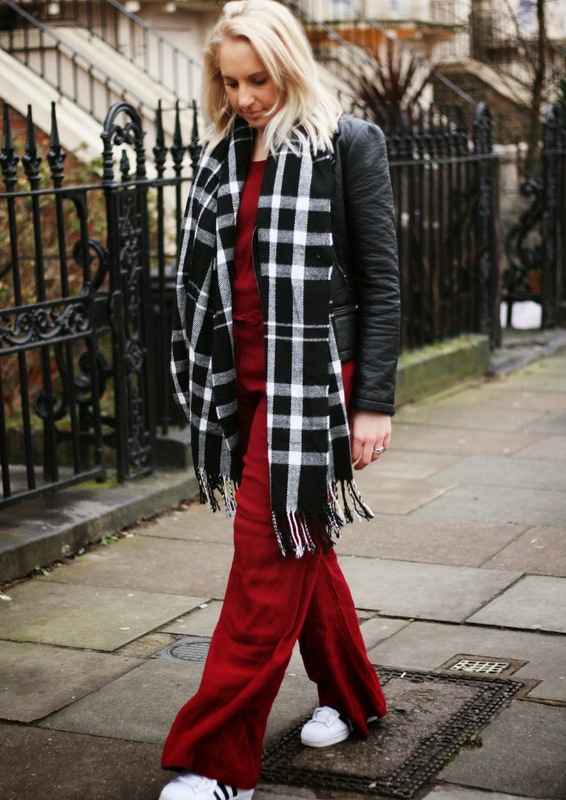 They actually have a gorgeous selection of coats, blouses and trousers, in fact this beautiful Oxblood Red crepe trouser and vest combo is the perfect example of what else they can do. 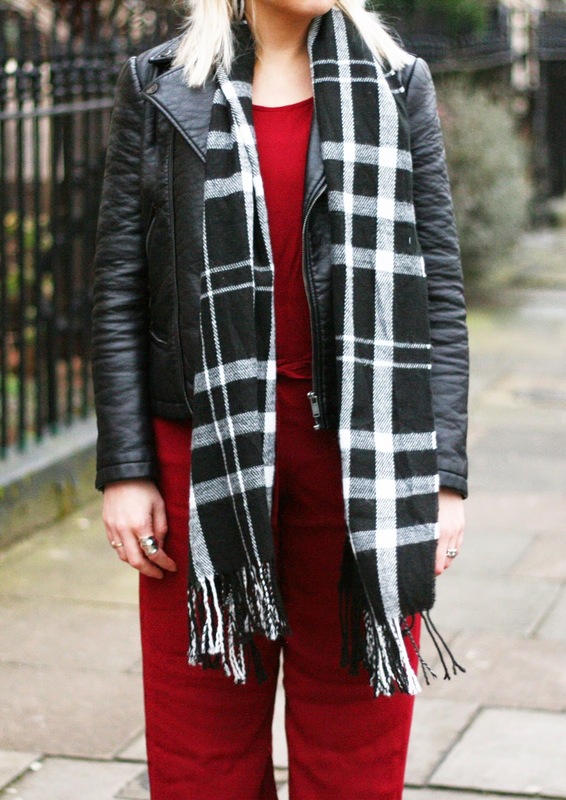 I was recently contacted by them and asked to style up a look from their site and this set caught my eye, I am not sure if they were designed with the idea to be worn together but actually I quite like it, I thought it was more me so here we go, head to toe red and a flash of monochrome checks were the look of this weekend! Talking about red, I have excellent news, I ordered my first glass of red wine down the pub yesterday and oh how I enjoyed it. After a cold picture taking sesh me and my housemate settled in the pub with a bag of crisps and some wine, how warming is red wine, who knew, self confessed red wine convert over here. Hollaaaaaa. p.s soz about the creased trousers. I love that red! It's so vibrant! LOVE that shade of red!